As I sit here writing this month’s Presidential Ramblings I realize that the only thing different about the view outside my window when I wrote last month’s Ramblings is that the snow is deeper now. I’ve been here off and on for over forty years and I understand winters in Central Oregon, but this one seems a harsher, with Spring a little bit further away than normal. After a few more minutes of depression I began to realize what was bothering me — the Cayenne is great in snow and even handles potholes fairly well, but I am missing the 911 and our summer drives on the high desert. 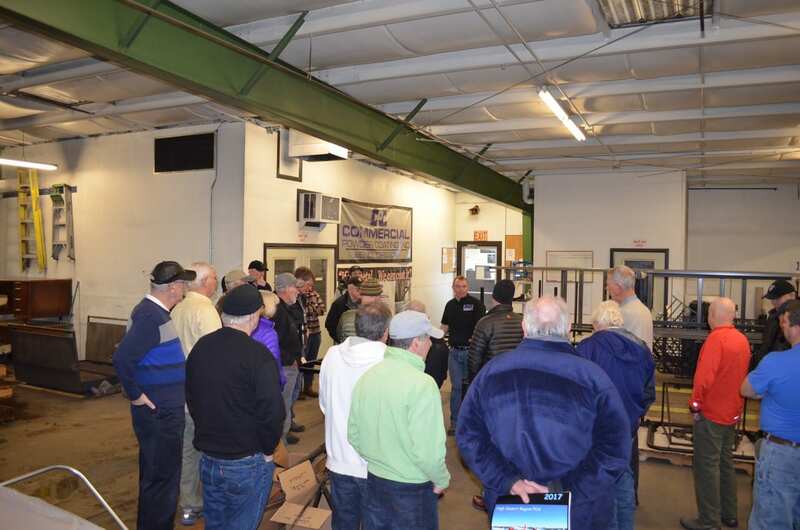 We began the year with a technical session hosted by Commercial Powder Coating in Bend and attended by over 30 HDR members. 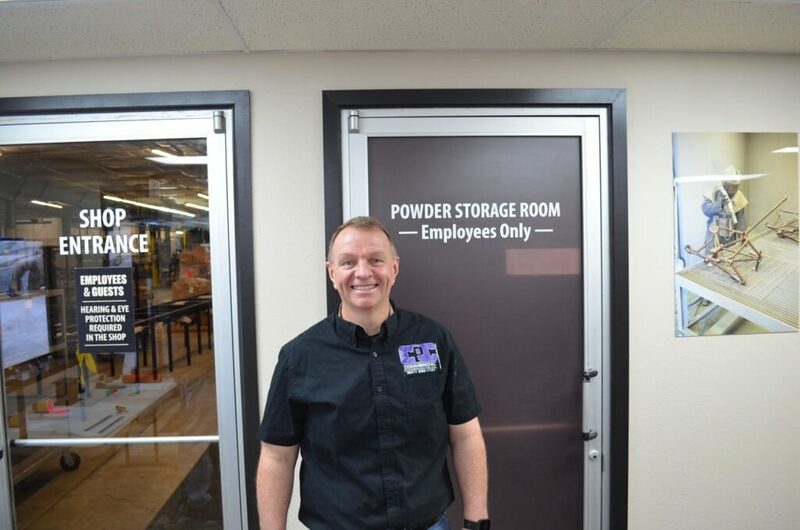 The presentation was very complete, with even those of us who are regular users of powder coating taking away new information about applications for the technology, what it was good for and cases where it was not applicable. One notable bit of information was that for best results CPC would like to control the preparation process as well as the coating itself. They have chemical cleaners as well as various blasting media available to ensure complete preparation without damaging underlying structures or detail. Cleaning old parts is not my favorite task, so this was pleasant news. Tracy then took us out to the shop so we could see the layout and the process, including a demonstration of the application of the powder product. After the items that had been coated were in the baking oven we got to look over several items that were in the queue, ranging from a Factory Five xxxxx frame, to 24inch diameter high pressure pipe, deck railings, and even a complete set of engine tin and suspension parts for an early 911 from German Master Tech that were waiting for coating. 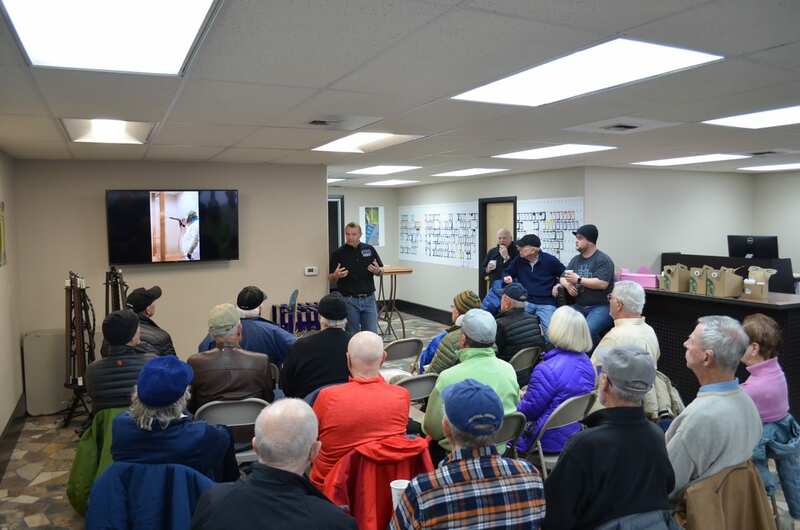 After we returned to the front area of the shop for final questions, Tracy raffled off the items we had watched being coated, a Yeti insulated cup and a bottle of wine. 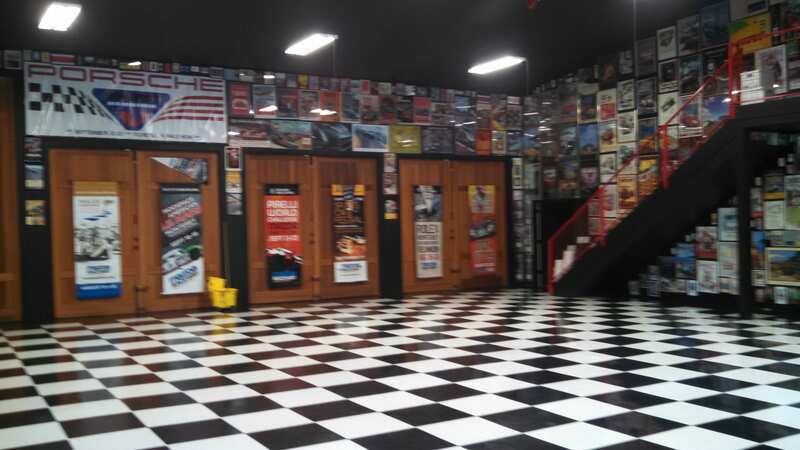 While the shop interior had been warm, we realized as we headed for our cars that the storm that we were expecting as we entered the facility had arrived with a vengeance! The Board met on January 17 to welcome new board members Amy Steigman, our secretary, Rob Kutz, the new Event Chair, and Curt Graeber, our new Webmaster. 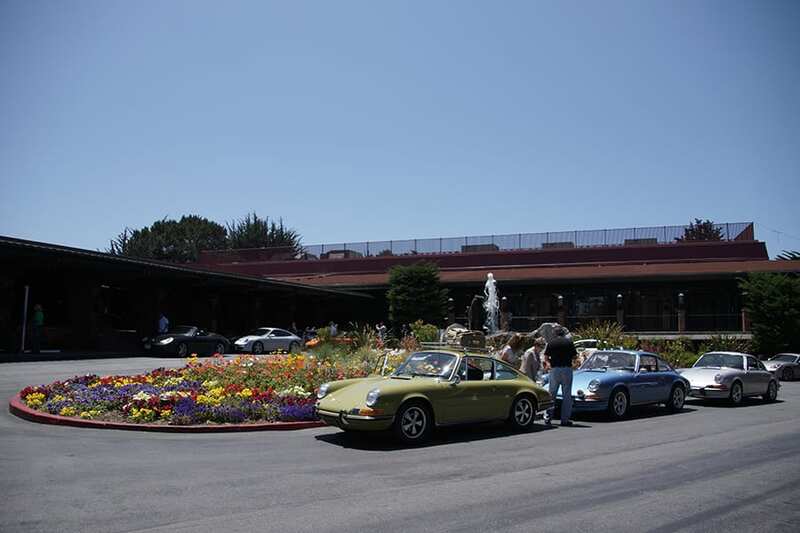 In addition to our usual topics, we agreed that we should appoint a coordinator for the 2017 Porsche Parade to assure that our members have the information that they need for PCA’s largest national event. This year’s event is being held in Spokane, which brings it within the range of reason for most of us. If this is your perception of a Porsche Parade you are partially correct. This is an event at the European Parade. If preparing for a concours is your idea of fun, the concours at the Parade is truly impressive. We anticipate having 4–6 HDR cars o hand for the concours. As a gauge of seriousness, HDR member and Zone 6 representative Tim Hagner and his wife Sue have been preparing their car since early last summer! 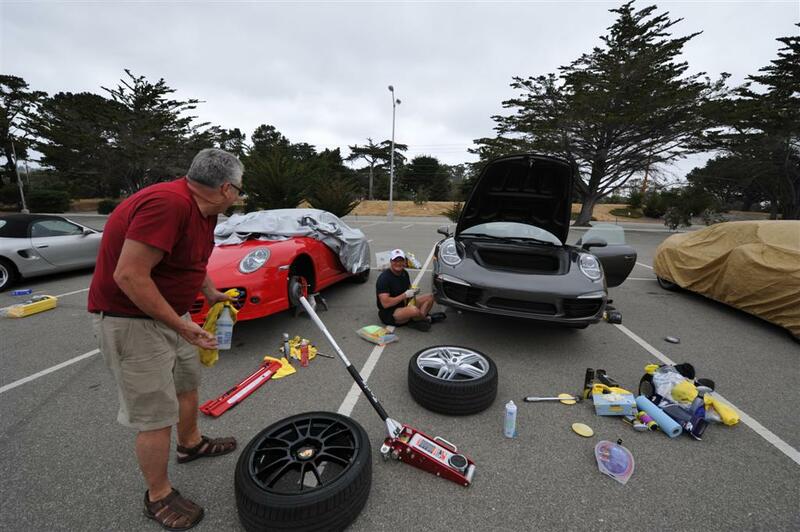 The Parade, however, has something for everyone and perhaps the favorite activity is just getting together for “Porsche talk” in one of the parking areas. Photo of one of many gathering areas at a recent Parade. No gravel parking lots for this crowd! 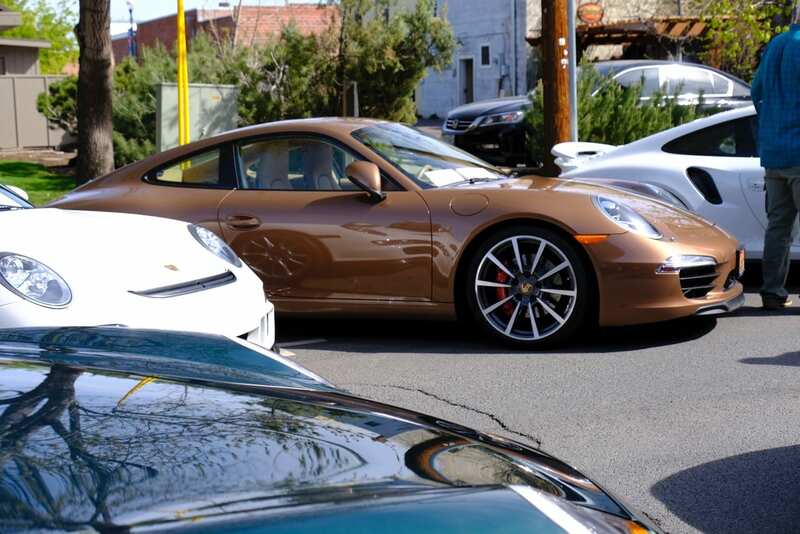 There are many formal driving activities, e.g., autocross, etc., but Parades are also known for what are, effectively, arrive and drives that allow Porsche owners from throughout North America the opportunity to enjoy new driving experiences. Another recent Parade photo that shows a break on a drive. A few very nice early cars in the foreground. The Parade functions like other national events. PCA establishes and controls the registration process. We will have a coordinator soon and, to make things as easy as possible, the Parade coordinator will push Parade information coming out of PCA to our members who are interested, as well as coordinating HDR trips to and from Spokane. We are already working on joining with several other regions for the drive over to the event. If you have any interest in the Parade please email me at jkolb@bendcable.com with the word PARADE in the subject line. We will develop a master list and I will turn it over to the coordinator as soon as he or she has been selected. If you have any desire to be the coordinator please give me a call. Jim Beeger has graciously offered to host the Cars & Coffee event in early February. Location: 21880 Rickard Road (corner of Larsen). Southeast Bend, 1.5 miles East of the Landfill. We will send an eblast on this event on Wednesday, February 1, 2017. Jim admits this is a fuzzy photo, but it has me interested! The Diego’s car show is one of our earliest events of the “season” and for many HDR members is the day on which the Porsche comes out of the garage to celebrate. It is a great event and we plan on a turnout of 40+ Porsches. 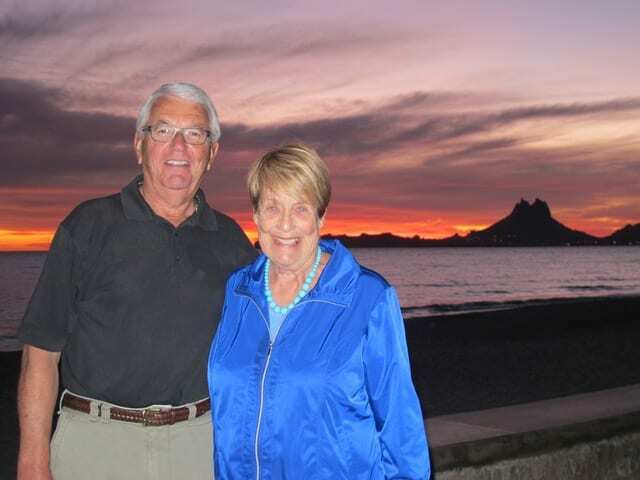 Bob and Suzi Townes have shepherded this event for years. The following is Bob’s write up and photos from last year’s event. 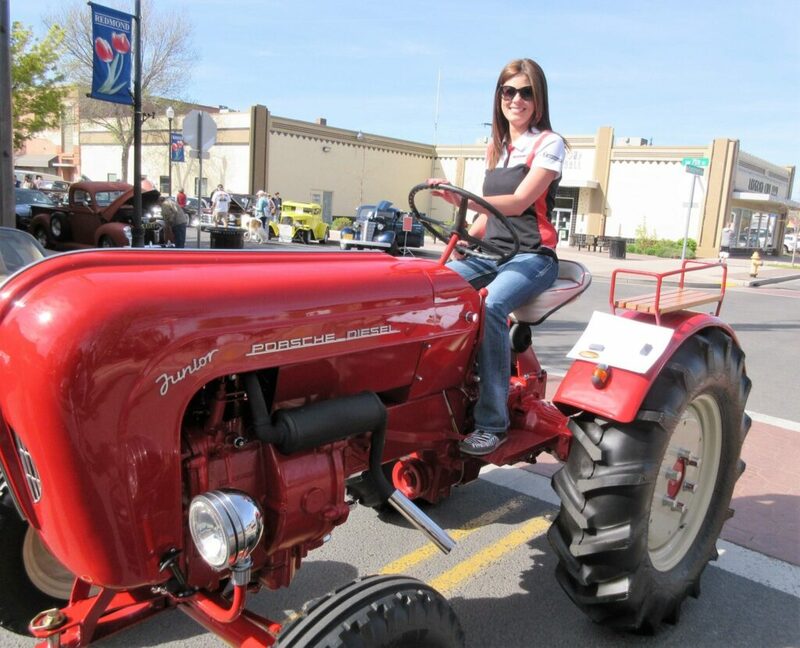 Nicole riding on the most popular Porsche at the event. 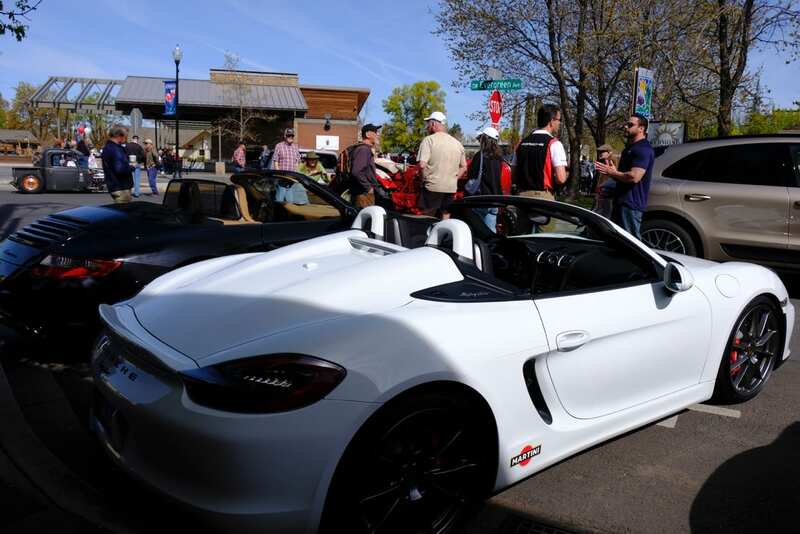 Description: 9th Annual Spring Fling Car Show in Redmond, OR. All you have to do to register is fill out the registration form provided by Diego’s Restaurant and mail in the form. If you register before April 1st you will receive an event T-Shirt, $10.00 Diego's food voucher & entry in the Early-Bird Drawing . Be sure to mark the Porsche Box either Air Cooled or Water Cooled on the registration form and also fill in the Car Club Affiliation at the bottom of the registration form. Diego’s Restaurant will again this year be providing a secure roped off area for our High Desert Porsche Club of America entrants on Evergreen Street. A view down one of the streets inhabited by HDR last year. 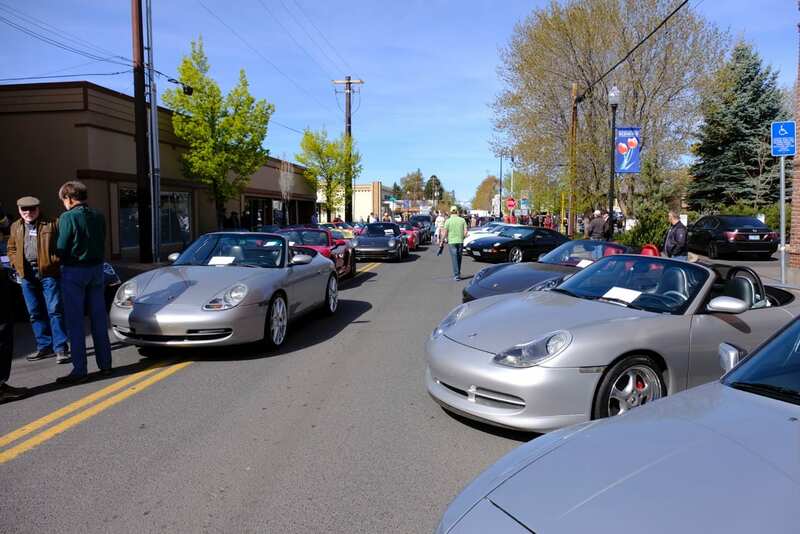 This year will mark the 4th year our High Desert Porsche Club has participated in the Diego's Car Show event in Redmond. As you will remember, last year and the year before our club was the winner of the Diego's trophy for “Club Participation Award” for the most cars entered. 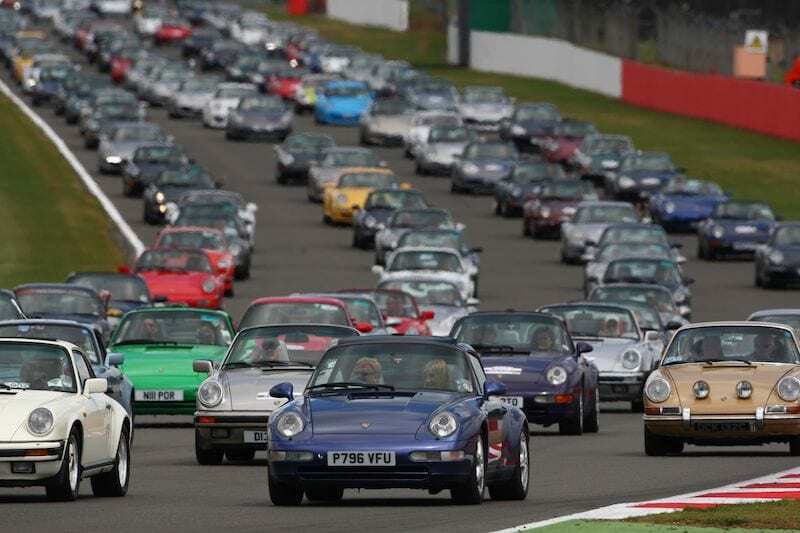 We had 40 Porsches represented last year and with your help we should be in the running again this year for the Diego's trophy for most cars entered. This is a great opportunity to bring the car out of its long winter sleep and enjoy a great well-managed and local car show event. Please send in your registration forms early as the event fills up early and Diego's has reserved space for 40 Porsches. Spring sun on clean cars — nothing better! Please find a printable car show registration form on our web site attached to this letter. 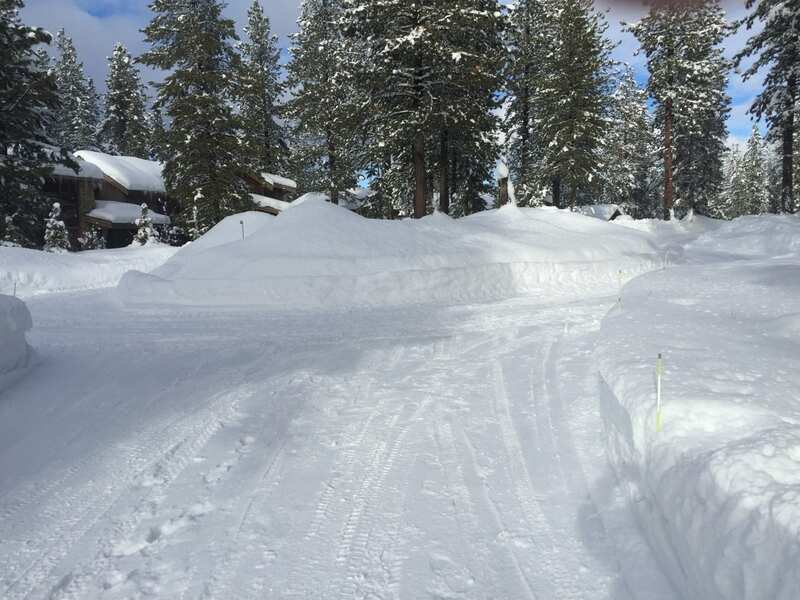 For those who would like to drive from Bend to Remond as a group please meet no later than 7:30 AM Saturday morning at our normal N. Bend Starbucks meeting location and convoy to Redmond. Our Porsche section will set up @ 8:00 AM on Evergreen Street just one block South of Diego's Restaurant in Redmond. If driving in on your own just take the Evergreen Exit off of Hwy 97 and head West and you will run right into our designated Porsche Club Corral on Evergreen Street. Diego's Car Show trophy presentation @ 2:30. We will be posting the registration form on the website within a week. The only thing better than the looks of Pete’s Spyder is the way it sounds. Well, it is time to wrap up the February Presidential Ramblings. The snow still dominates my yard, but I want to share a photo and comments that I just received from our friends and fellow HDR members who migrate South each year.